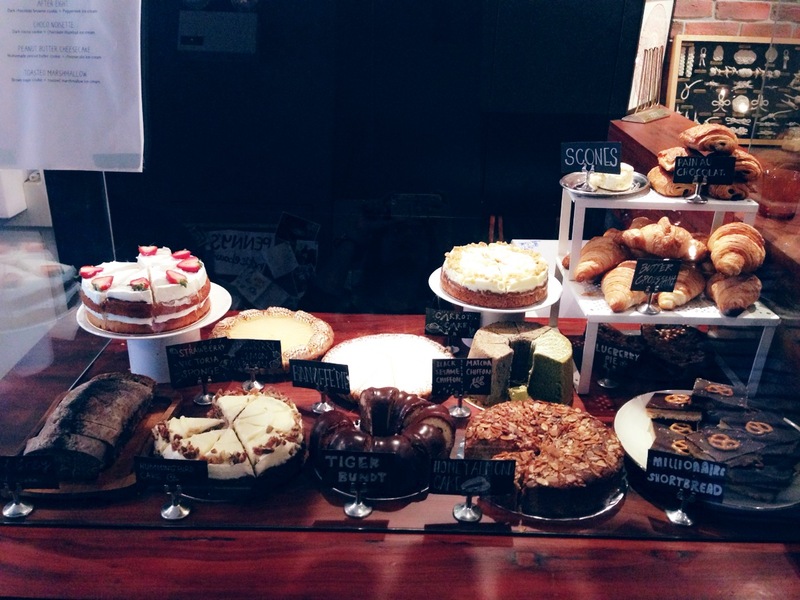 I’m so excited to write about one of my favourite cafes around! They’re relatively new but they’re reputation has grown so fast for a few reasons, namely: good food and coffee, good bakes and cakes and a really nice ambience. But, if you ask me, the reason why they are fast becoming so popular is because of its halal status. This cafe ranks amongst the top on my list of cafes because it is one of the few cafes where I can actually indulge in proper cafe-styled food (and not just cakes and bakes). Now, this cafe does not have a halal certification, but I have emailed them on several occasions to clarify with them and was told that they serve halal food and their owner is a Muslim. 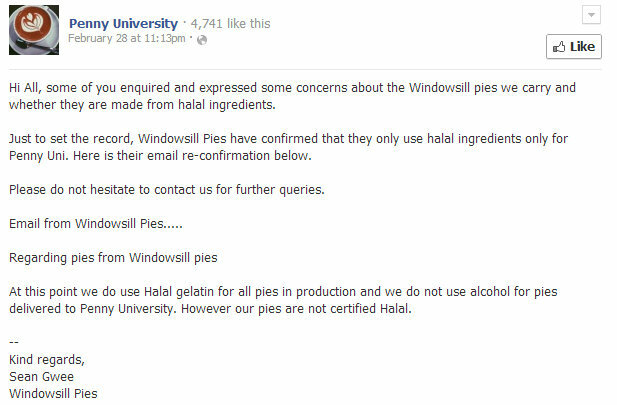 As a result of being a Muslim-owned establishment, they do not actually need to apply for halal certification.. I have this in black and white by the cafe themselvse so if you’re keen to know more, you can email me and I’ll be glad to share their response with you. Kit and I headed back to Penny University this morning for breakfast, and we left as happy as we were the first time we discovered the place. The last time we were here, we reached at 8.30am in the morning because we were so keen to try out the cupcakes that they source from Fluff Bakery. Having already tried their cupcakes, we set off later today and we were lucky that it was raining (thus, not as crowded as it can usually be) and it also made it easier to get us a parking lot. Parking at Penny University is one of the biggest headaches ever. There is a small lane with about six parking lots just about a 50-step walk from Penny University, which makes it really hard to get parking. So far, we have been lucky to find ourselves a lot but I reckon that trying to get a lot during the lunch time crowd is not going to be easy. Maybe the smarter option would be to take public transport there… but since we stay on the other side of the island, it seems like driving there is the easiest and least stressful option of them all. The smell of coffee hits you the moment you open the doors of Penny University and once you look around, the rustic feel of the entire cafe will sweep you off your feet. It is everything you want your favourite cafe to be like – slightly dark and cosy, chairs and tables of different types and sizes, shelves with little coffee-related products on sale, a pastry bar with cakes and bakes stocked from places like Fluff Bakery, All Good Things and Windowsill Pies. It has all the little details that makes it feel very familiar. It is however, also, very busy, and it can be very overwhelming because the cafe is not a huge cafe (as most cafes are not) and the walkway after the entrance is a narrow column.. so the best thing to do is squeeze through and try and get a seat first because… that same walkway to enter is also where you make your orders. The service staff are busy busy busy, but mostly because they are so swarmed with customers but I do appreciate the fact that being busy and swarmed does not equate to being rude. In fact, while I was ordering takeaway cake (haha), I overheard a customer beside me ask for a takeaway bag because his son didn’t finish the food The owner, who brews the coffees himself, and was standing behind the counter immediately asked the customer, “Oh no! What was wrong? Was the food not nice?”. I was really impressed with their sincere and genuine concern over the customer’s satisfaction, thumbs up from me! 4. Wait to be served your delectables. The last time I was here, I ordered the smoked salmon on sour dough brioche, which comes with wild rocket and balsamic (which i absolutely hate) (SGD $8.00). I am a huge fan of bread and so I always look forward to the brioche whenever I order breakfast and sour dough brioche is one of my absolute favourites! This did not disappoint, at all! 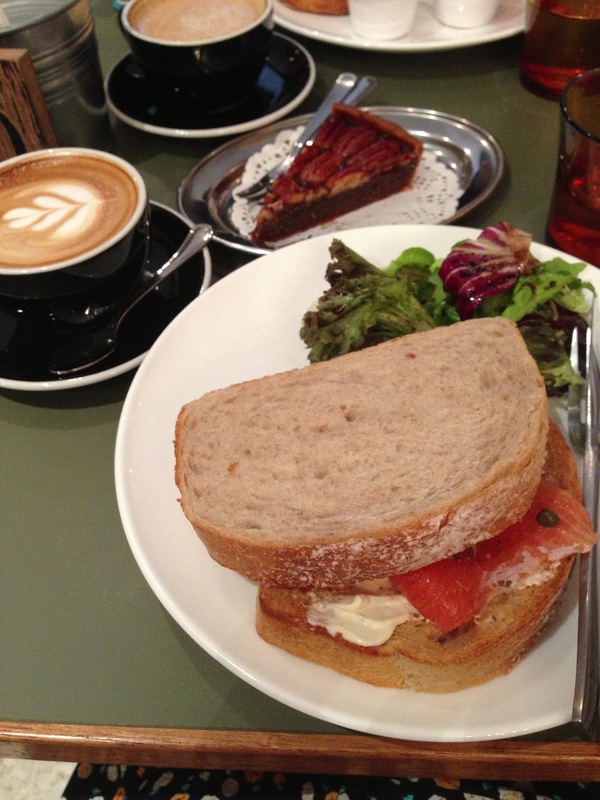 My brioche came served with smoked salmon, cream cheese, oregano and capers. It was absolute yum. I am slightly picky about my smoked salmon because I generally dislike the fishy smell that you can get with smoked salmon that isn’t fresh.. but so far, in my humble opinion, the one served at Penny University is smell-free. It definitely beats the one served at Coffee Bean, hands down. It really is the mark of fresh and well-prepared raw/semi-raw fish and it is the thing that makes or breaks the dish for me. The last time we were here, Kit ordered for herself French Toast which is brioche dipped in eggs, pan-fried, and topped with strawberries and blueberries, drizzled with Canadian maple syrup with creamy butter on the side (SGD $8.00). For a person who is not actually a fan of french toast, Kit gave her approval of this dish. 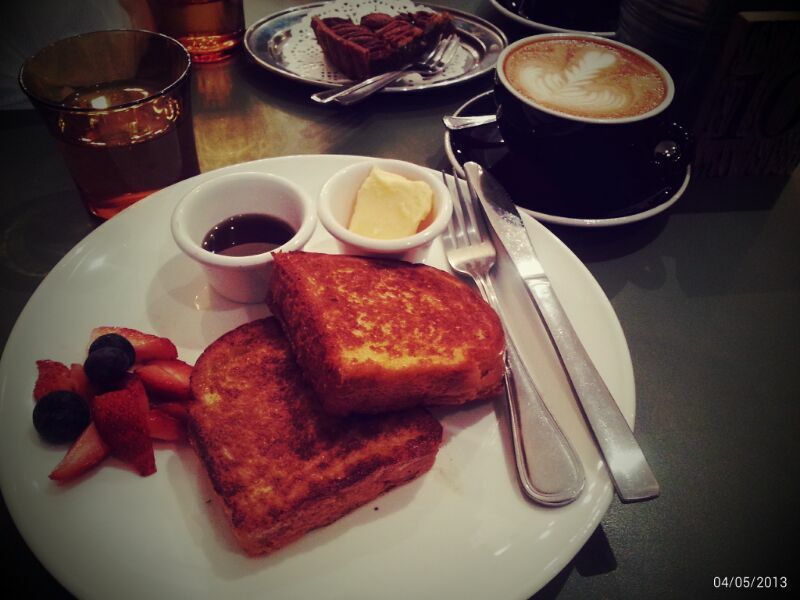 The problem with most french toasts is that it can be very dense and eggy, but Kit’s french toast was light and fluffy. I think the thick brioche had a part to play in making it that good. I was so surprised by their generosity with the smoked salmon and it was such a filling meal! 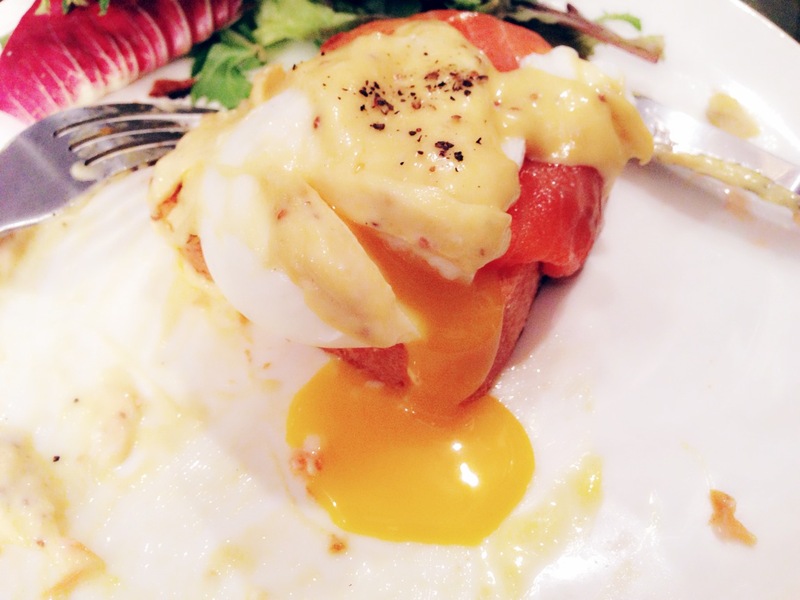 I was unbelievably stuffed after having two eggs, two pieces of brioche with came with a spread of capers and cream cheese as well, two servings of smoked salmon and a side of wild rocket and balsamic. Kit’s original intention was to order waffles (as stated on their menu online) and she was pretty excited about it because they had both savory and sweet waffles, both of which, vegetarian-friendly. Unfortunately, when we reached, we realised that some items had been taken off their menu and waffles were one of them. 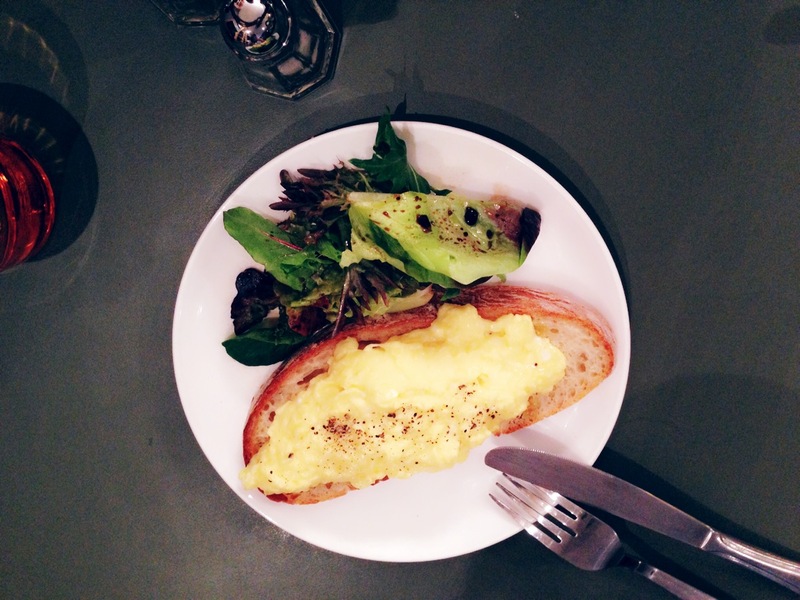 So, she settled for scrambled eggs on sour dough toast (SGD $ 4.50). Kit’s eggs were, in her own words “fluffy scrambled eggs” that were not too wet and had a good balance of milk and egg in the mix and it was served on toasty, crispy bruschetta. Her only gripe was that there was not enough butter on the bruschetta to make it all the more delicious. 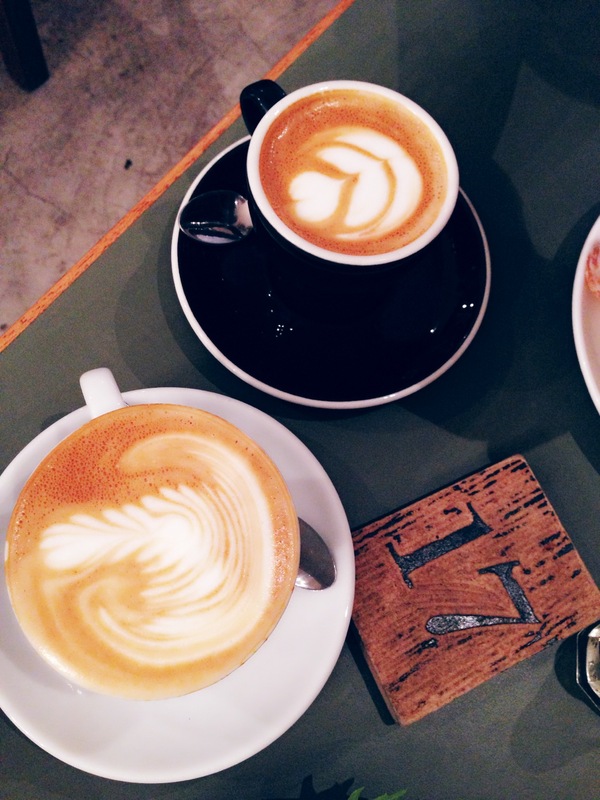 We also ordered our favourite coffees – a 7 oz latte (SGD $5.50) for me, and a 5 oz cappucino (SGD $4.50) for Kit. I think that it is only in the coffee that I felt the least consistency though I’m not really complaining because it was just the intensity of the brew that was different. In general, both Kit and I felt that the coffee wasn’t as strong as it was when we first tried it in April. This time around, both the latte and cappucino was milkier than before, and perhaps, they were using a different, milder blend. I did however, enjoy my latte. I think that even though it was milder, it was still much better coffee than that which we’ve already reviewed (except La Marelle. I think they have set a new benchmark for us). Sometimes, I think getting the right ratio of milk to coffee is not as simple as we all make it sound because often it’s either too strong for the common man or too weak for the coffee afficionado. But, in my opinion, I think I had a really enjoyable cup of coffee this morning. Penny University is also well-known for the bakes and cakes that they stock from all over the place such as the earlier mentioned places. And, if you’re a fan of ice cream sandwiches (SGD $7.50) , they do a mean one here! 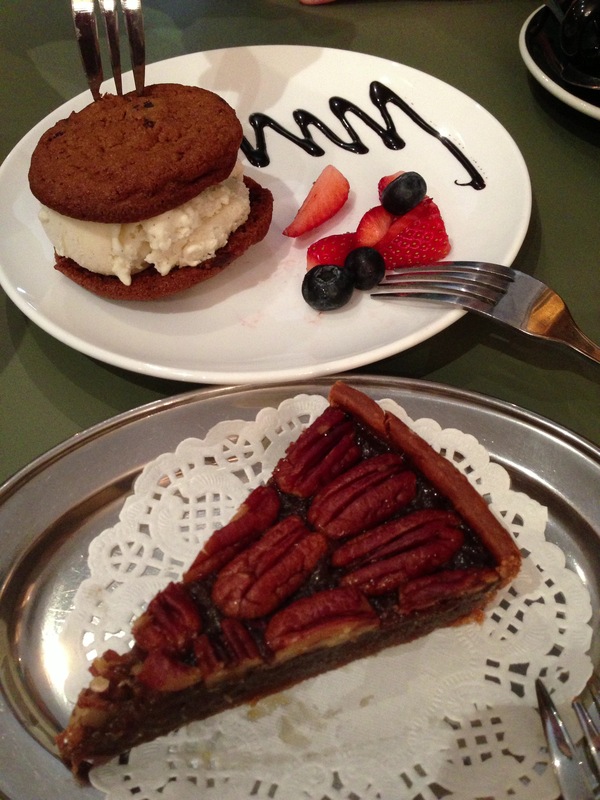 Assured that it was permissible to eat their pies, the last time I was there, I ordered a pecan pie ($7.50) and enjoyed it thoroughly. Pecan is an acquired taste. Not everyone likes pecans, and they do leave a strange after taste but I really enjoy it! I devoured this instantly. In the background, you can also see that Kit and I ordered ourselves their ice cream sandwich – chocolate cookies and vanilla bean ice cream which was yum! Hard biscuits which become softer as the ice cream melts and the liquid softens the biscuits. It’s a tough biscuit to snap at first but work at it, and it’ll be a delicious dessert. I have enjoyed thoroughly my visits to Penny University because I’ve been assured of great quality food and cafe experience. I know I’ll definitely be back at Penny University again soon. If you haven’t… you should. I don’t think you’ll be disappointed at all. Hi! Yes, we are halal. We don’t have a cert as our owner is a Muslim and he was advised by MUIS that he doesn’t need to get one, but we run a halal kitchen and all our suppliers use halal ingredients. Thanks! Vegetarian Options: Available. 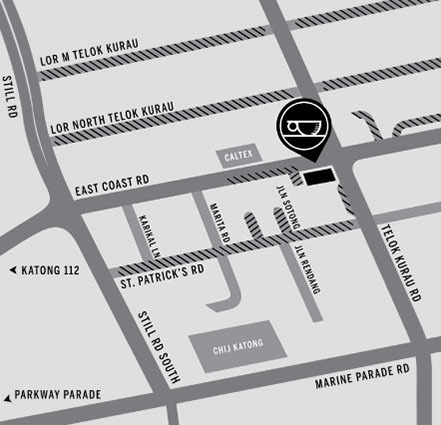 You can check out their menu online but do check as their menu has been changed slightly.